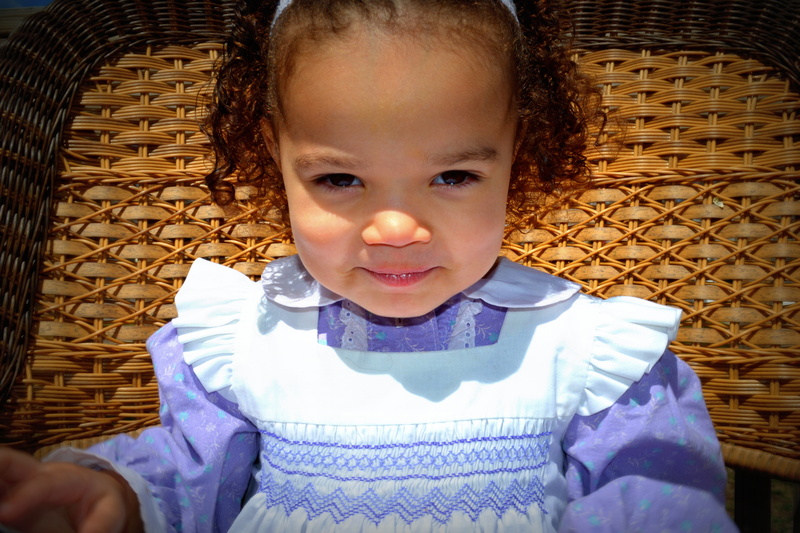 “Dressing her in ‘Little House on the Prairie’ again?” my husband remarked at the sight of our daughter dressed on Easter morning. Without clear intention to find this dress I stumbled upon it the night before in a box my mom had given to me. The box contains my three decade old baby book, a kindergarten t-shirt, a hideous beaded shirt friends signed at my 9th birthday party, and countless school and girl scout projects. 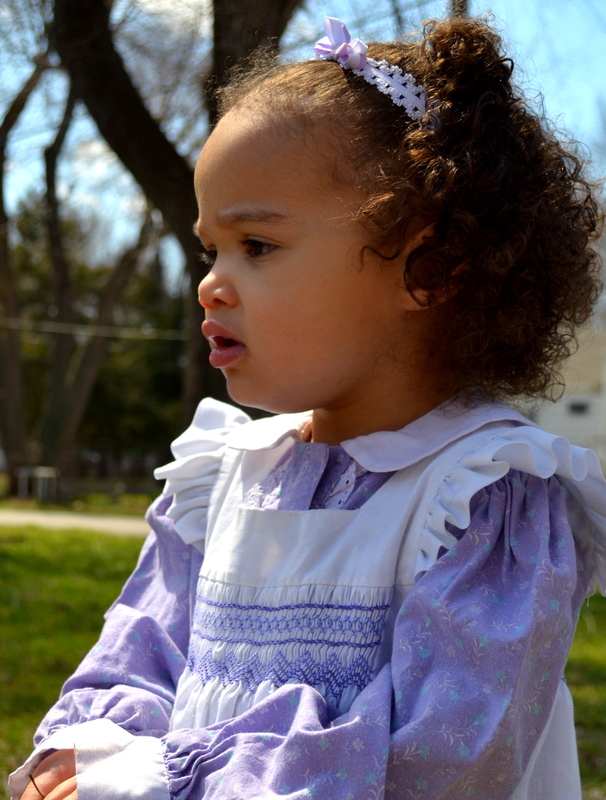 The real treasures of the time capsule are the clothes my mom made for me when I was little including a lavender dress with white smocked pinafore. 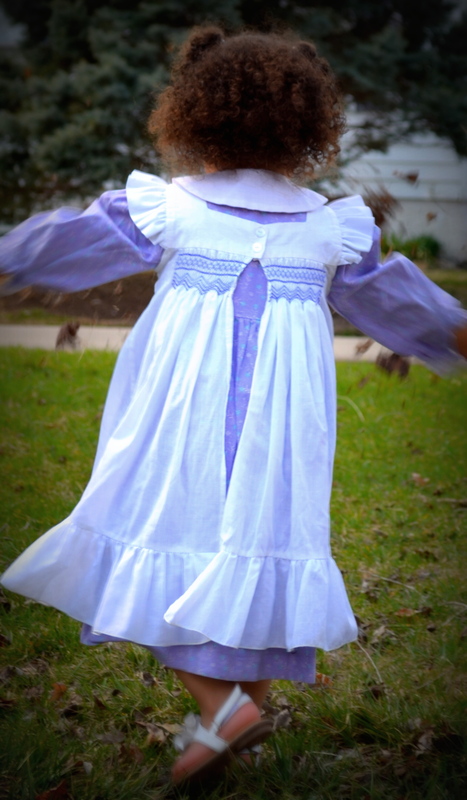 It may be slightly home on the prairie, still it is too sentimentally adorable not to have my daughter wear it too. We had a family celebration on Saturday at my parent’s house where Parker wore a new, very cute, brightly colored, springy dress. Then Sunday our plan was to go back again for dinner with more family. Despite there being plenty of dresses to choose from in her closet; I opted to take it back to 1986 or 1886 depending on how you look at it. I knew no one else cared what she looked like on Easter and my mom would appreciate and love it. Finally with spring weather arriving we were able to play out in the yard on Sunday morning. 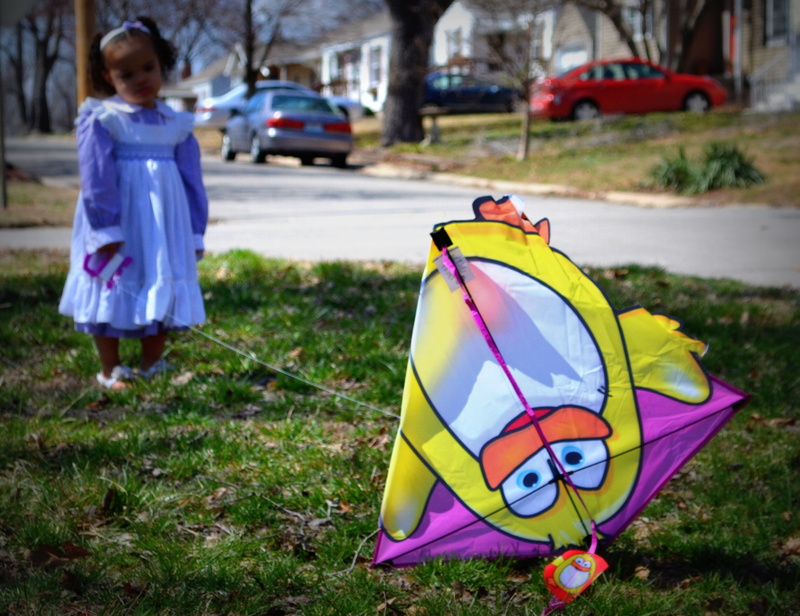 Her Easter basket from Nana contained some fun outdoor activities like bubbles and chalk. Parker also got her first glimpse of flying a kite, though with trees and power lines constricting the yard it wasn’t as entertaining as I remember from my childhood. She was delighted watching me run back and forth across the yard to get it up a few feet, and when it was her turn she was thoroughly disappointed when she didn’t get the same result. Perhaps another try in a park or open prairie would be worthwhile. something you wore at their age?